What is Swiss Needle Cast? 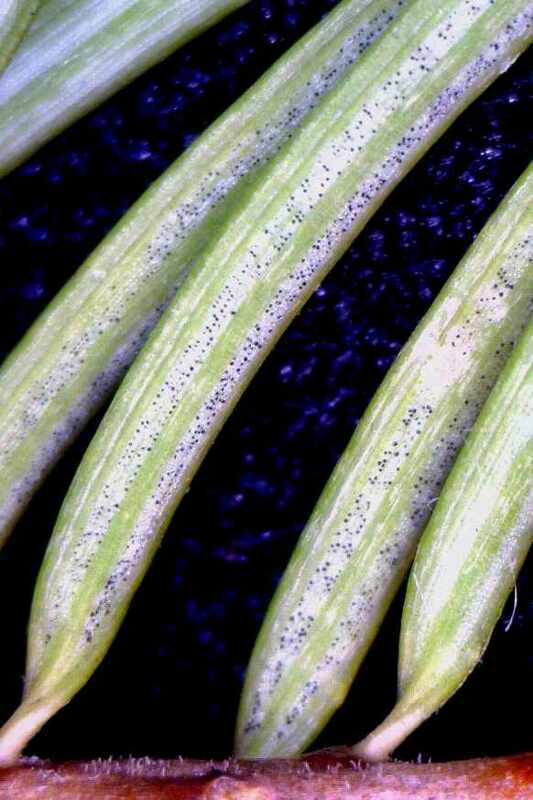 Swiss needle cast (SNC) is a foliage disease that is specific to Douglas-fir and is caused by the fungal pathogen Phaeocryptopus gaeumannii. SNC disease symptoms include chlorotic (yellow) needles and decreased needle retention, resulting in sparse crowns and reduced diameter and height growth. 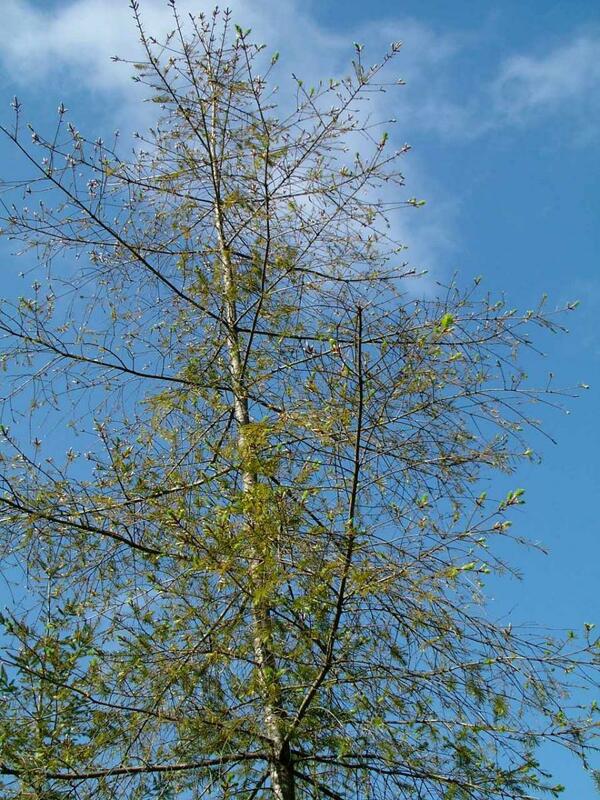 It is known as a cast disease, because it causes the tree to prematurely shed, or cast, its needles. Although it is called Swiss needle cast, the fungus that causes this disease is native to the western United States, and is an exotic pathogen in Europe, New Zealand and other places outside of Douglas-fir’s native range. However, the disease was first discovered in Douglas-fir plantations in Switzerland in the mid-1920s, and the name has persisted. The Swiss Needle Cast Cooperative (SNCC) was established in January 1997 to address challenges to the management of Douglas-fir in OR and WA caused by the current Swiss needle cast (SNC) epidemic. The SNCC is located in the Department of Forest Engineering, Resources and Management within the College of Forestry at Oregon State University. The Membership is comprised of private, state, and federal organizations. Private membership dues are set at a fixed rate. An annual report, project reports, and newsletters are distributed to members each year. All projects are carried out in cooperation with specific members on their land holdings. The mission of the SNCC is to conduct research to enhance Douglas-fir productivity and forest health in the presence of Swiss needle cast (SNC) and other diseases in coastal forests of Oregon and Washington. The original mission was broadened in 2004 to include research aimed to ensure that Douglas-fir remains a productive component of forests in the Oregon and Washington Coast Range. The focus of SNCC research is on research that will give forest land owners the tools to manage for healthy and productive Douglas-fir forests and plantations in the face of SNC. Damage caused by SNC has made it imperative that research is conducted to learn practical methods of disease detection and management in order to maintain health and productivity of Douglas-fir plantations. Efforts to understand the epidemiology and biology of the pathogen, and resultant growth losses, have highlighted gaps in our knowledge of basic Douglas-fir physiology, growth, and silviculture. Because members directly participate in problem identification and research solutions, the communication of results is accelerated and results are applied more rapidly and effectively. To understand the epidemiology of Swiss needle cast and the biology of the causal fungus, Phaeocryptopus gaeumannii. To design silvicultural treatments and regimes to maximize Douglas-fir productivity and ameliorate disease problems in the Coast Range of Oregon and Washington. To understand the growth, structure, and morphology of Douglas-fir trees and stands as a foundation for enhancing productivity and reducing negative impacts of various diseases of Douglas-fir in the Coast Range of Oregon and Washington.